Don’t Drill the Hills, Inc (DDHI) is proud to be part of shaping the conversation on issues specific to oil/gas exploration in high density residential areas at both the State and local level. A delegation from DDHI will be joining a number of grassroots groups who share similar concerns in the March for Oil-Free Neighborhoods in Lansing on Tuesday, September 9, 2014. DDHI members will be speaking with State legislators and engaging directly on issues including discussion of Senate Bill 1026. This bill, touted by Rochester Hills officials as a “game changer” to return local control, has deep flaws. Essentially, the bill merely adds the procedural step of public hearings, then grants the State’s Supervisor of Wells power to issue the drilling permit regardless of local objections if it would “prevent waste” of valuable natural resources, and if no other “reasonable alternative location” can be secured. Where is the local control? Work on local control via enforceable municipal ordinances: 1500 foot setbacks from residences and K-12 schools, zoning for production facilities, as well as nuisance ordinances: smell, dust, noise, light. Rescind the City oil lease for parks and a cemetery in the middle of subdivisions and schools; a lease which was not voter approved. It remains to be seen if SB 1026 can be amended to provide residential areas the protections it purports, or if this was perhaps intended to be a “game changer” for election season, as some fear. DDHI and other groups against drilling in high density residential and school zones are steadfast in their commitment to see these efforts through. We look forward to working productively in this process. The format will be an informal open house with opportunity to “ask the expert” one-on-one questions. The event and panel selection was facilitated by the City of Rochester Hills. Don’t Drill The Hills learned from a city official that only a select few residents received notification by the City. Oil and gas exploration affects all residents of Rochester Hills, particularly along the Tienken Road corridor from Squirrel Road to Stoney Creek High School. Rochester Hills residents should be informed and get involved. Attend the meeting, and visit Don’t Drill the Hills’ website or Facebook page to learn more, and to find out what residents can do. 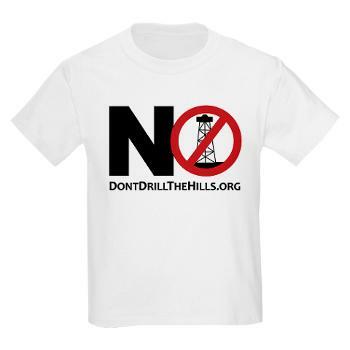 Don’t Drill The Hills (DDH) is a local, non-partisan grassroots group that is building awareness of the risks of horizontal drilling in high density residential and K-12 school areas. Concerns include: property rights, property values, mortgage and insurance complications, as well as potential environmental risks. Don’t Drill the Hills (DDH) organizers appealed to Oakland County Water Commissioner, Jim Nash, to host a town hall meeting in the Rochester area regarding the potential impacts of horizontal drilling and enhanced oil recovery methods. Last night, over two hundred and fifty people crowded into Rochester High School to participate in the event which included presentations as well as a question and answer period. Hal Fitch, Chief of the Office of Oil, Gas, and Minerals (OOGM) of the State regulatory agency Michigan Department of Environmental Quality (MDEQ) was invited to speak in counterpoint to Mr. Nash. Unfortunately, Mr. Fitch decided to not participate, citing his concerns the evening would turn into an “emotional debate.” However, Fitch later informed a DDH organizer he would be willing to take part in an informational forum in our area in the future.